Database startup MemSQL has been doing just fine lately with its row-based in-memory database, but it apparently wants even more of the market. On Thursday, the company announced that version 3.0 of its technology will include a columnar store that’s designed to run on flash storage, meaning users can afford to store and analyze more data and still see a speed boost over hard-disk storage. 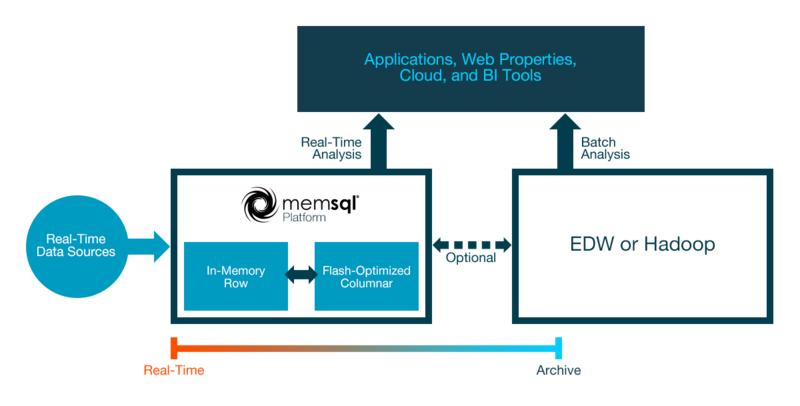 The result is that MemSQL customers’ transactional workloads can access data in the row-based store in memory, while analytic workloads can access data in the columnar store in flash. It’s a step down in speed, and a step up in affordability, for queries that don’t require real-time processing. It’s also a direct shot at legacy database vendors, most of which aren’t offering columnar and row-based stores in the same system, and many of which don’t offer any sort of tiering between media even for the same type of workload. Historically, those that do default to disk as the higher-latency option rather than flash. This isn’t the first time MemSQL — which closed a $35 million funding round in January — has ventured outside its core product to address the broader database market. In September, the company announced support for JSON documents — a popular format for NoSQL databases such as MongoDB. MemSQL won’t likely replace MongoDB as the production database for many applications, but it can supplement it for analytics and potentially replace it in situations where companies are mainly interested in storing and analyzing JSON files. However, none of this is to say that MemSQL is now the king of the database mountain or anywhere even near the top. The Oracles, SAPs, IBMs, Microsoft and Teradatas of the world have too much money, too many customers and too much good technology to just relinquish their spots overnight. But there’s a new generation of companies coming up that prefers scale-out systems versus scale-up ones, and that doesn’t think twice about building atop a startup’s technology or even an open source project (like nearly every NoSQL database, for example). There are a lot of database startups out there offering new takes on the old relational model, and if they can survive and resist the siren song of acquisition — which might be hard given the money at play in the space — it’s not inconceivable a company like MemSQL could be the Oracle of the next generation. For better or for worse.